Extended Reach, Targeted Results, Performance Pricing. At Eweb Guide, we have designed our Ultimate SEO Packages to make sure you get the best search results possible and to get your website performing at superior levels across all major search engines like Google, Yahoo and Bing (MSN). All of our packages cover all crucial SEO factors, using both on-page and off-page SEO techniques. Four different SEO packages Starter, Basic, Advanced and Volume to choose from. Proved competence in industry sectors like real estate, health, education, etc. Team of SEO experts available 24/7 to assist you. Only organic SEO process followed to bring genuine traffic. The idea behind our SEO Packages is to provide a complete set of essential SEO services to help you achieve top rankings for Google, Yahoo, Bing (MSN) and other search engines. Four different SEO packages offered; Starter, Basic, Advanced and Volume so that you have adequate options to choose from. Proven competence of our SEO experts in the field of travel real estate competence will take your site to the top position in no time. What do we offer you in our SEO packages? Our SEO team is available 24/7 to assist you with your order placed with us. Only organic SEO conducted to bring in natural and genuine traffic to your Website. An array of services provided under on-page and off page-optimization. Extensive keyword analysis done to give you the best results. Assured improved rankings on Search Engines and Alexa. Choose a SEO Package that suits your business requirement and budget the best and we assure you high quality service and definitely the best return on your investment in seo services. If you are unable to decide which seo package is the best for you, we are at your service, contact us now and to start with we will do a FREE analysis of your website as compared to your competition and give you our expert opinion. Initially we will suggest / perform necessary on-page optimization changes, after completion of these changes our SEO professional can proceed further with off-page optimization process. We follow ethical search engine guidelines, White Hat Technique and manual Submissions. Our SEO Team manually submits all off-page submissions in relevant categories. No reciprocal linking (until and unless requested by you), no paid links, no link renting, no link Farms etc. We keep ourself updated with the latest trends of search engine algorithm changes and implement the same, as and when required. SEO Reports will be provided on a monthly basis or at the end of the seo process as per the package selected by you. We can make absolutely NO guarantee or promise of specific placement for specific keywords because we do NOT control the search engine results!!!! The search engines do. Our search engine optimization process is implemented following the latest trends and techniques prevalent in the industry. Any unethical means and / or black hat techniques of SEO are not followed by Sibz Solutions. The outsourced assignments are periodically tracked and monitored. You can review the updated data and statistics any time. 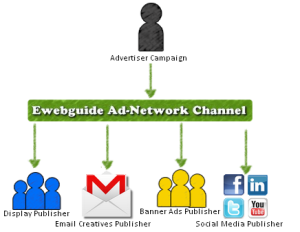 Eweb Guide is not affiliated with GOOGLE, YAHOO, MSN/LIVE, or any other search engine or major directory and has no special relationship of any kind with them or any of their staff. Our SEO experts aim at bringing in targeted traffic to your website by using ethical Internet Marketing strategies. Such strategies include one way link building, Social media optimization, Meta tag optimization, reciprocal link building etc.